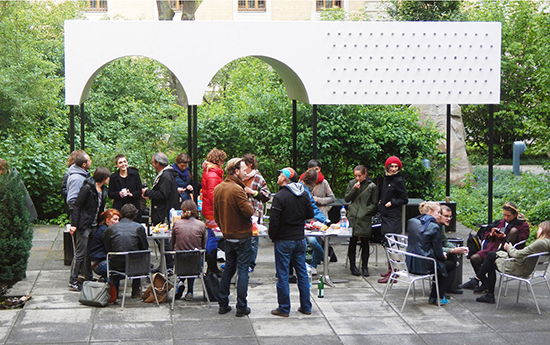 Creating a re-activated public space for the Leipzig art school, its students and staff. Together with the London architect William Haggard the System-Design Class, Oliver Klimpel and Britt Helbig designed and built two new elements which form a new temporary landscape of follies in the college: the pavilion, the mobile staircase, and the rock shelf. A space to play, debate, relax and contemplate.